Combine the half and half, sugar and vanilla extract in the pint-size bag. Seal the bag tightly, so that none of the liquid will leak out. Fill the gallon-size ziplock bag halfway with ice cubes. 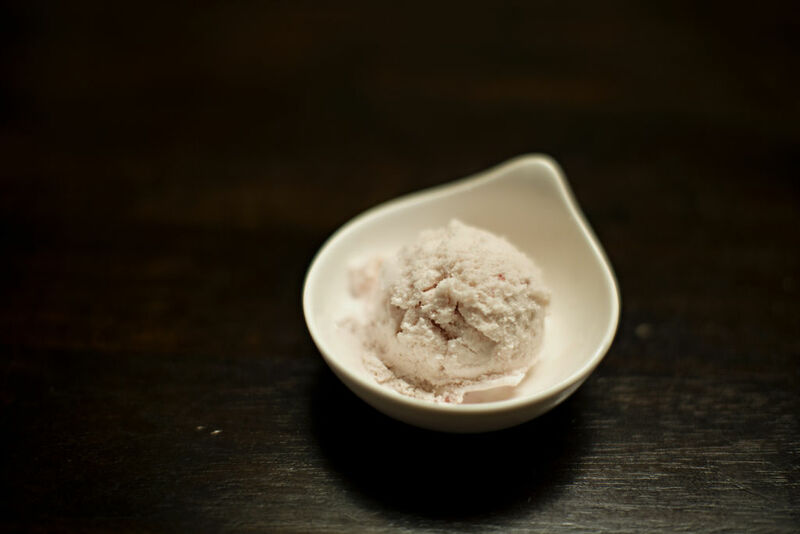 Sprinkle Kosher salt over the ice cubes. Insert the pint-size bag filled with ingredients into the bag of ice and salt. Seal the gallon-size ziplock bag. If the bag begins to leak, don't hesitate double bagging it to reduce the mess. Shake the bag for 5-10 minutes until the ice cream mixture begins to harden. Feel the small bag to determine the consistency of your ice cream. 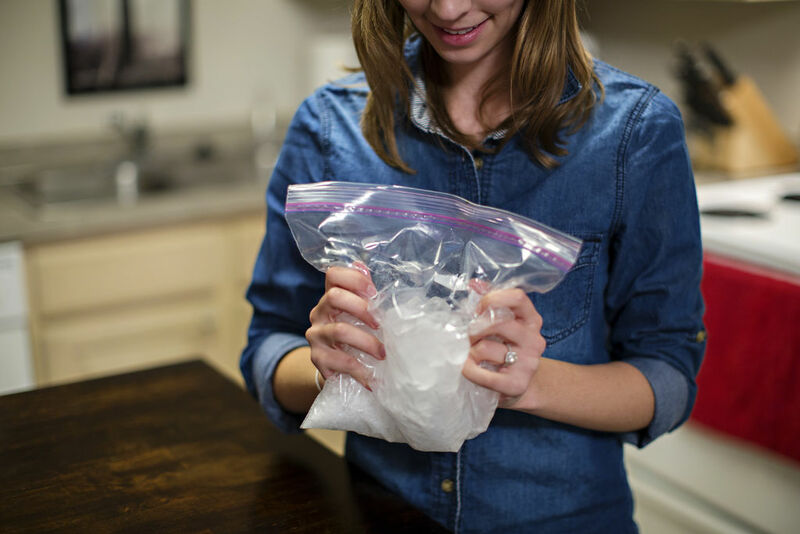 Once satisfied with the consistency, remove the small bag from the bag of ice. Open the small ziplock bag and add any desired mixins that you want. I added raspberries to mine. Feel free to eat the ice cream right out of the bag or, if you prefer, scoop it into a bowl. Damian Del Vecchio made it! Please tell me what half and half is? I presume that it is milk you are talking about. Would love to make the Ice Cream as we are experiencing a heat wave down here in South Africa. 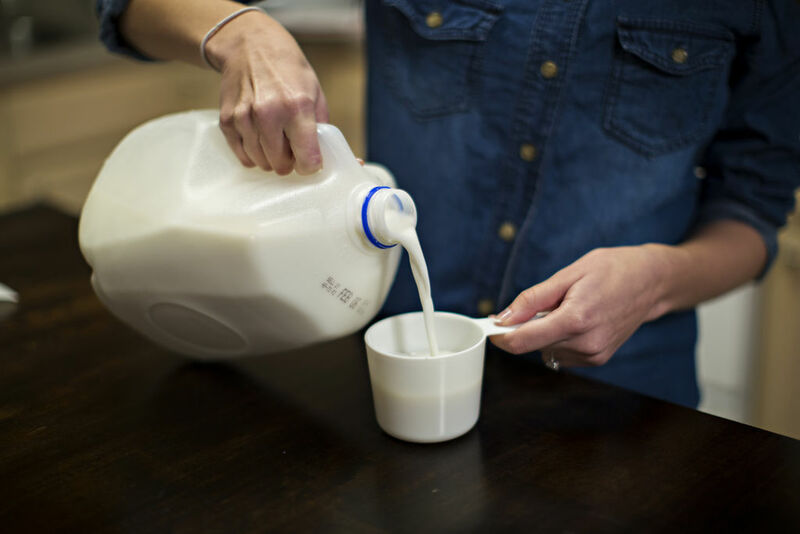 Equal parts milk and light cream. What do I do when the salt gets in my ice cream? It's gross and it ruined most of it. Have a bowl of clean ice water ready and rinse the outside of the bag before opening. 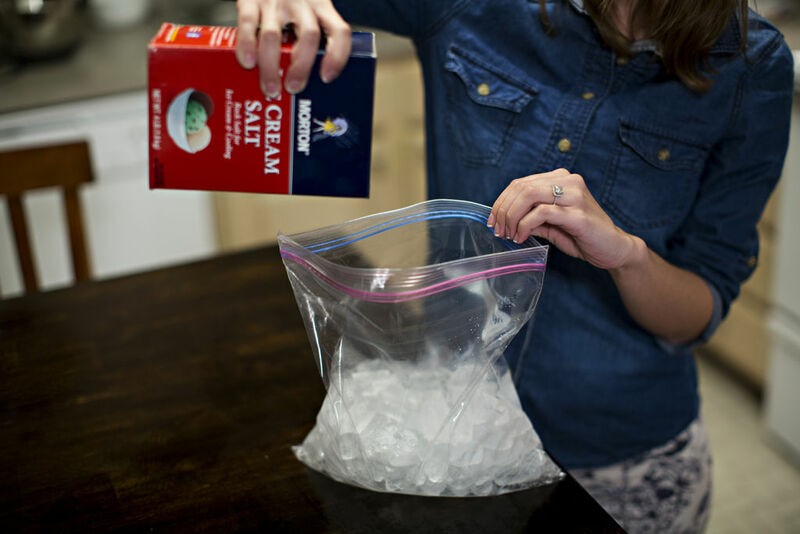 If you see the inner bag leaking while shaking, reseal or double bag it as salt can enter while shaking. half and half? Is this milk, if so, I would guess full cream or maybe semi skimmed? Sorry, im in the UK and 'half and half' is not a familiar concept. Datman, obviously 'half and half' isn't a common product outside of where you live as look how many people have asked! You could, but it would have a crunchier, more crystalline texture. I was wanting the kids in my class (preschool) to make it but was wanting to put like 3 kids per bag...would it feed them or would i need to increase the measurements? I’d double the ingredients and use a quart bag for the ice cream. That amount should easily feed 4 younger children. Have a bowl of clean ice water ready to rinse the smaller bag in once removed from the salted ice. This will keep any saltwater from getting in as you scoop out the ice cream. What is half and half made of?